Most people know about the Crusades but know very little about the cause and effect of them. This list explains the main eight crusades. There were additional crusades in later years but they were much smaller and had little effect, therefore they are not included here. Further information on the Crusades can be found at Wikipedia, Encylopaedia Britanica, and the Catholic Encylopedia. Some slight variations in start and end dates exist. At the time of the Crusades, Europe was divided into states whose rulers were involved in petty territorial disputes. In Jerusalem (the most popular site for pilgrimages in Medieval Europe) at the time, the Seljukian Turks were gaining power and Europe saw it as a threat to the safety of the Pilgrims and to Christendom. In 1070 Jerusalem was taken, and in 1071 Diogenes, the Greek emperor, was defeated and made captive at Mantzikert. Asia Minor and all of Syria became the prey of the Turks. Antioch succumbed in 1084, and by 1092 not one of the great metropolitan sees of Asia remained in the possession of the Christians. In March 1095 at the Council of Piacenza, ambassadors sent by Byzantine emperor Alexius I called for help with defending his empire against the Seljuk Turks. Later that year, at the Council of Clermont, Pope Urban II called upon all Christians to join a war against the Turks, promising an indulgence for those who died in the service of the army. Crusader armies managed to defeat two substantial Turkish forces at Dorylaeum and at Antioch, finally marching to Jerusalem with only a fraction of their original forces. In 1099, they took Jerusalem by assault and created small crusader states which were the Kingdom of Jerusalem. Can’t get enough of holy war? Check out The Crusades: The Authoritative History of the War for the Holy Land at Amazon.com! After a period of relative peace in which Christians and Muslims co-existed in the Holy Land, Muslims conquered the town of Edessa. 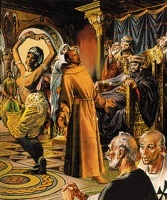 A new crusade was called for by various preachers, most notably by Bernard of Clairvaux. 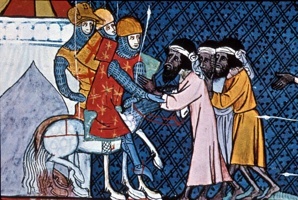 French and German armies, under the Kings Louis VII and Conrad III respectively, marched to Jerusalem in 1147 but failed to accomplish any major successes. By 1150, both leaders had returned to their countries without any result. in 1187, Saladin, the Sultan of Egypt captured Jerusalem. Pope Gregory VIII called for a crusade which was undertaken by King Richard I of England (Richard the Lionheart), Holy Roman Emporer Frederick I, and King Philip II of France. They defeated the Muslims near Arsuf and were in sight of Jerusalem. However, due to an inadequate food and water supply, the crusade ended without the taking of Jerusalem. Richard left the following year after establishing a truce with Saladin. This crusade is sometimes referred to as the King’s Crusade. Pope Gregory VIII did not live to see the end of this crusade. 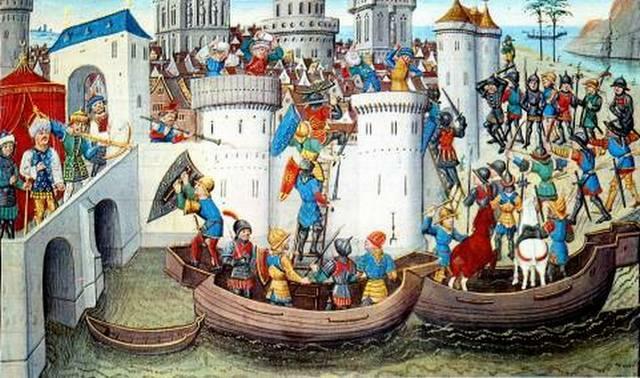 The Fourth Crusade was initiated in 1202 by Pope Innocent III, with the intention of invading the Holy Land through Egypt. Because the Crusaders lacked the funds to pay for the fleet and provisions that they had contracted from the Venetians, Doge Enrico Dandolo, enlisted them to restore to obedience the Christian city of Zara (Zadar). Because they subsequently lacked provisions and time on their vessel lease the leaders decided to go to Constantinople, where they attempted to place a Byzantine exile on the throne. After misunderstandings and outbreaks of violence, the Crusaders sacked Constantinople. By processions, prayers, and preaching, the Church attempted to set another crusade on foot, and the Fourth Council of the Lateran (1215) formulated a plan for the recovery of the Holy Land. In the first phase, a crusading force from Hungary, Austria joined the forces of the king of Jerusalem and the prince of Antioch to take back Jerusalem. 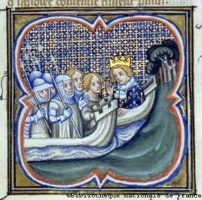 In the second phase, crusader forces achieved a remarkable feat in the capture of Damietta in Egypt in 1219, but under the urgent insistence of the papal legate, Pelagius, they proceeded to a foolhardy attack on Cairo, and an inundation of the Nile compelled them to choose between surrender and destruction. 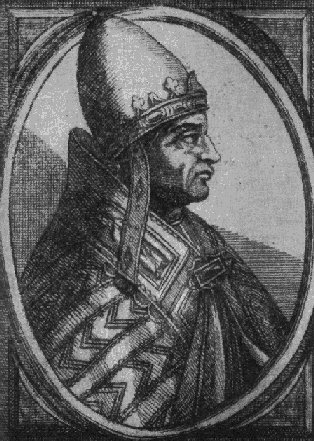 Emperor Frederick II had repeatedly vowed a crusade but failed to live up to his words, for which he was excommunicated by Pope Gregory IX in 1228. He nonetheless set sail from Brindisi, landed in Palestine, and through diplomacy he achieved unexpected success: Jerusalem, Nazareth, and Bethlehem were delivered to the crusaders for a period of ten years. 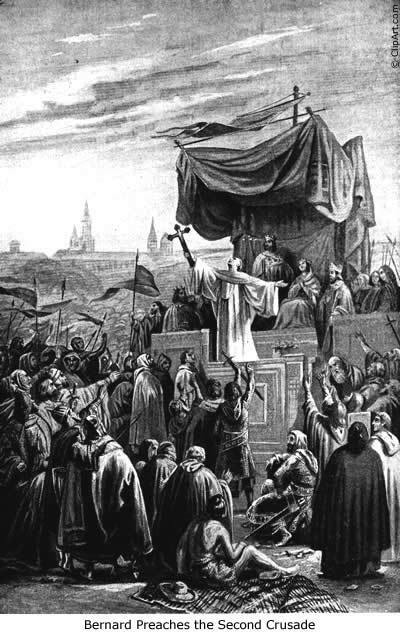 This was the first Crusade that had no Papal involvement. The Pope eventually lifted the excommunication. The papal interests represented by the Templars brought on a conflict with Egypt in 1243, and in the following year a Khwarezmian force summoned by the latter stormed Jerusalem. The crusaders were drawn into battle at La Forbie in Gaza. The crusader army and its Bedouin mercenaries were outnumbered by Baibars’ force of Khwarezmian tribesmen and were completely defeated within forty-eight hours. This battle is considered by many historians to have been the death knell to the Christian States. 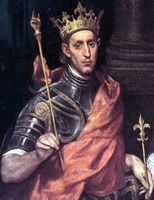 As part of this Crusade, Louis IX organised a crusade against Egypt which lasted until 1254. 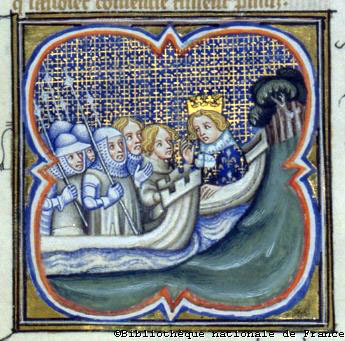 The eighth Crusade was organized by Louis IX in 1270, again sailing from Aigues-Mortes, initially to come to the aid of the remnants of the crusader states in Syria. 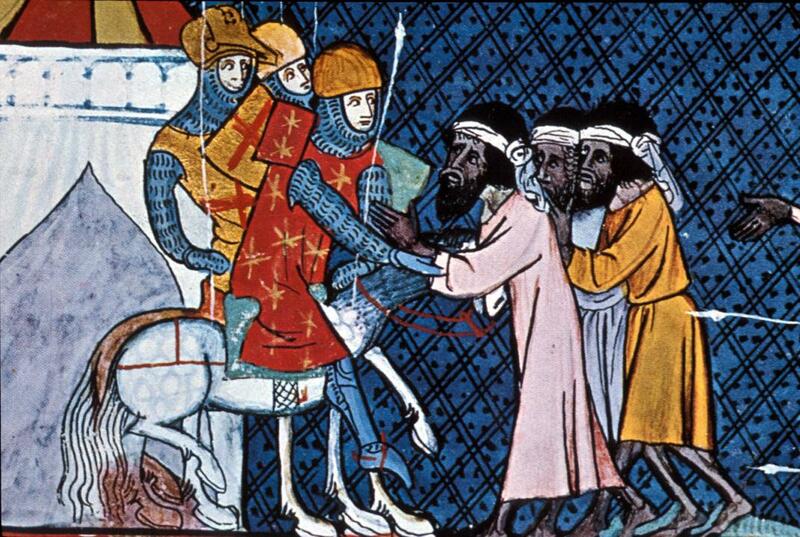 However, the crusade was diverted to Tunis, where Louis spent only two months before dying. For his efforts, Louis was later sainted (the city of St. Louis, Missouri, USA is named for him). This Crusade is sometimes broken into an eighth and ninth crusade. The result of this crusade was the loss of Christian rule in Syria though it achieved a partial success in that Christian religious were allowed to live peacefully in the region. The Crusades had an enormous influence on the European Middle Ages. At times, much of the continent was united under a powerful Papacy, but by the 14th century, the development of centralized bureaucracies (the foundation of the modern nation-state) was well on its way in France, England, Burgundy, Portugal, Castile, and Aragon partly because of the dominance of the church at the beginning of the crusading era. For another perspective on the crusades, this is an interesting article by a modern medieval historian. Don’t forget the most tragic crusade of all! Read about The Children’s Crusade at Amazon.com!